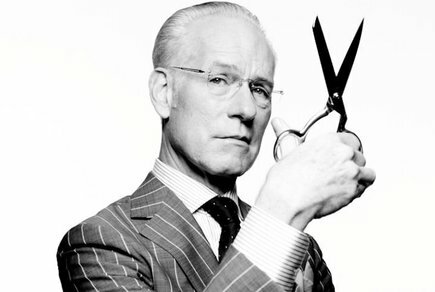 By sevvy October 20, 2017	 Adventist "fashion"
ADVENTIST WORLD --- American fashion consultant Tim Gunn, of Project Runway fame, has been hired by the Adventist Church in a bid to improve the fashion choices of its members on Sabbath morning. Gunn has thrown himself into his work by posting an army of fashion critics (posing as church greeters) at the entrance of church lobbies across the United States. "I have shed many a tear over Adventist fashion sins," said Gunn, reporting on his findings so far. "There's an ultra conservative faction that seems to want dresses to double as floor mops and then there are rebel hipsters with far-too-skinny jeans that are in dire need of fashion prayer," said Gunn. He added that the most confusing thing about Adventist fashion is the approach to jewelry. "Adventists are against wearing silver or gold on their fingers or in their ears but some of their outfits are so weighed down by brooches that I am surprised they can stand up for song service." Perhaps Brother Gunn will be able to revive dress reform as we used to know it. modesty is coming back.